The African American Voter Registration, Education, and Participation (AAVREP) is one of the largest organized efforts to register African American and urban voters in the state of California. Over more than 10 years, AAVREP ha registered more than 175,000 voters and contacted nearly 200,000 households via telephone and door-to-door canvasing. 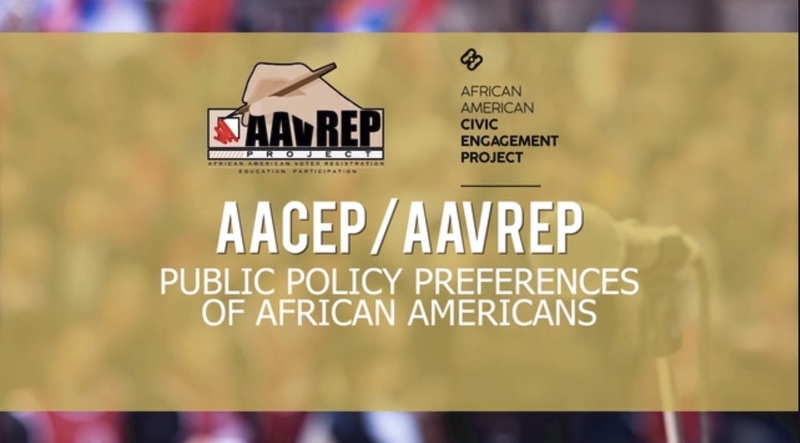 Leading up to the June 2016 Primary election, AAVREP wanted to pursue statewide survey and focus group research, as well as in-field mobilization experiments, to highlight the importance of the African American vote. AAVREP also envisioned that the research would help the organization better understand generational shifts in electoral participation among black voters in California, thereby informing its voter education and outreach strategy. EVITARUS conducted a statewide telephone poll of 800 African American likely voters about key policy priorities and their preferred candidates in statewide and national electoral races. The research found that black voters are highly motivated to turn out the vote by the prospect of reducing homelessness, criminal justice reform, and improving public education. As follow up to the research, EVITARUS also conducted a series of statewide stakeholder policy briefings to discuss the role of polling and the media in shaping public policy, the policy preferences of California’s African American voters, and the importance of the African American vote in the Presidential Election. One of the only publicly released statewide surveys of African American voters conducted in recent years, the poll has galvanized a statewide discussion about the power of black voters in the November 2016 election. Subsequently, in concert with the African American Civic Engagement Project (AACEP), EVITARUS conducted statewide focus group research to explore key motivating factors behind African American voter participation in the post-Obama era. The research explored selected policy issues addressed by the AAVREP poll, messages, media, and spokespersons that have the potential to motivate electoral participation. The focus groups were conducted among high propensity and low propensity voters, with a specific focus on millennials and generational differences between younger and older voters.